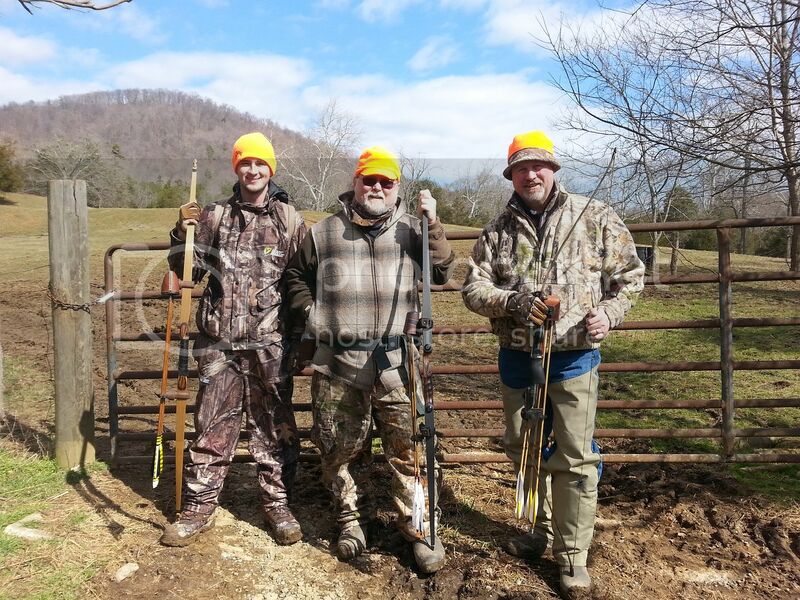 Well we got a hunt in last Sat. Before the end of rabbit season. No bunnys taken. A few shots. A ton of fun. Beautiful day. Sorry the rest of the crew couldn't make it. Randy(RedStag5728), Danny (Two-Hats) and myself. Danny Jackalope hunting... Only saw Does.. There is no better fun than hunting rabbits. Yes indeed, had a blast! Gotta love the howling of the beagles when they are on buggs' tail. Thanks again Jeff and Danny for a great time! 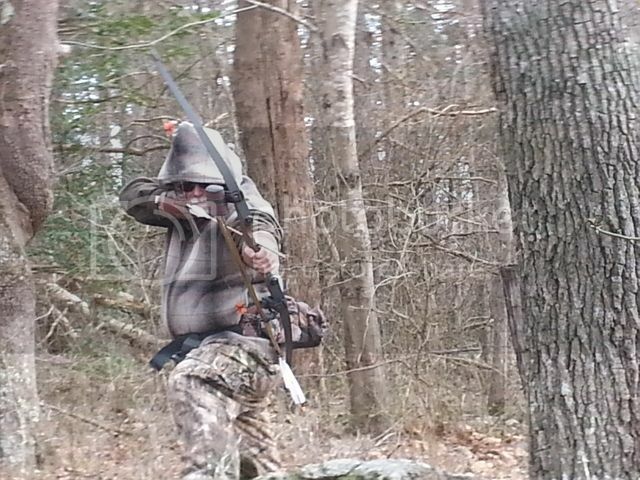 CTA RedStag LB 64" ntn 57# @ 28"
Hickory SB (#2) 64" ntn 43# @ 28"
Hickory East Woodland SB 65# @ 27"
What do I keep hearing the operatic version of "Kill the rabbit, kill the rabbit" in my head. I ain't skeeed of no wabbit. Well, not that much at least. But, just in case... RedStag... goes first. I think Bill should go first, he's the biggest! LOL!! I was never much of a Monty Python fan, but that was funny! Yea, I have long legs. Hopefully that also means I can run faster than at least one of the gang!